What is the Lifestyle in Bonita Bay? Imagine looking out of your window to see endless stunning views of the Gulf of Mexico and sugary white sand beaches. These views are what inspire the lifestyle in Bonita Bay – the carefree living, unparalleled recreation and an outstanding balance between coastal nature and modern amenities. Bonita Bay is a beautiful and highly desirable luxury gated community that is located within Bonita Springs. Bonita Springs is located just north of Naples, Florida and is an outstanding tropical paradise that offers the finest amenities, activities and real estate opportunities in Southern Florida. Bonita Bay was established in 1983 and has since won numerous awards and quickly gained prominence as one of the finest and most luxurious developments in the area. Bonita Bay is known for being environmentally responsible as well as for its stunning landscaping, 1400 acres of open space, sparkling lakes and beautiful nature preserves. The community has much to offer to its residents and visitors alike including golf courses, biking and walking paths, a clubhouse and various other luxury amenities. Whether you are interested in a vacation property, a family home or a sanctuary to enjoy some relaxation you are sure to find Bonita Bay and the local lifestyle the finest in the area. Bonita Bay is surrounded by acres upon acres of open space, stunning natural landscapes, luscious greenery and miles of walking, biking and hiking paths. Wildlife is also plenty throughout Bonita Bay including a wide variety of beautiful tropical birds, turtles, deer, dolphins and many more. Bonita Bay is right by Estero Bay, where residents and visitors can indulge in fishing, boating, swimming and dolphin watching. Golf Digest named the Bonita Bay Club the “1999 Environmental Leader in Golf,” noting that the club ‘set standards for land planning and environmental preservation.’ The Bonita Bay Club has three championship golf courses designed by Arthur Hills to enhance the natural beauty of the area. 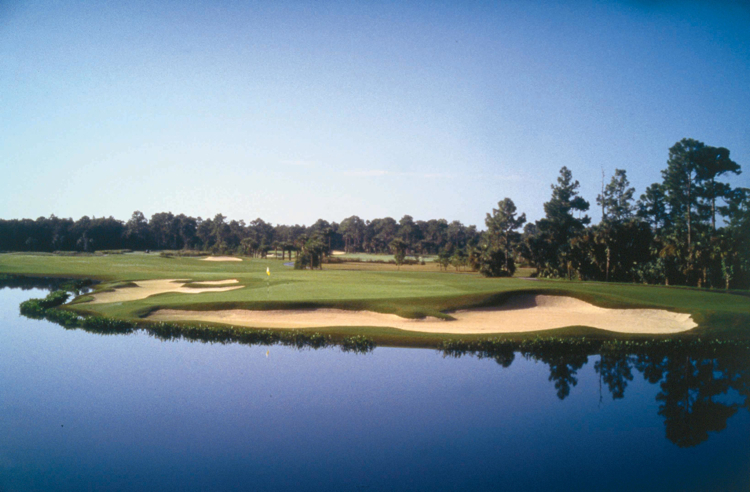 There are also two Tom Fazio courses that provide a pure golf experience on more than 1,000-acres that include cypress wetlands and no residential development. The Marsh weaves through the terrain forming a stunning backdrop for a challenging game of golf. Creekside features changes in land elevation to create the subtle feeling of rolling hills. Bay Island is the most challenging of Bonita Bay’s courses and there are various water hazards, sand traps and thick trees on the course. The tennis center at Bonita Bay was recently rebuilt in 2010 and features 18 Har-Tru courts, 13 of which are lit for night play and all of which are maintained at peak condition. The Bonita Bay Club is the only club in the country that offers two U.S. Professional Tennis Association Master Professionals on site and also has the region’s most active and competitive tennis program. Bonita Bay is well known for its outstanding spa and fitness accommodations. In fact, the 10,000-square foot fitness and spa center was recently redesigned in 2010 with all new fitness equipment. Each of the 34-cardio workout stations also offers individual TV monitors. Club members can choose from a full calendar of classes ranging from Pilates, step aerobics, yoga and more. The staff is comprised of licensed trainers and specialists as well as estheticians and massage therapists who provide a full menu of spa services. There are many different properties within Bonita Bay, which include luxurious high-rise condos, charming carriage homes and expansive single-family estates. Bonita Bay is home to 57 different neighborhoods that create a diverse environment and a safe community for all residents. The real estate options vary in style, size and price range in order to accommodate to the needs and budgets of every interested home buyer. Properties can range from 2,000-square feet to more than 7,000-square feet and most homes offer stunning views of the Gulf of Mexico and all of Southwest Florida. There are many other outstanding amenities that make Bonita Bay the outstanding resort destination that it is. The lifestyle is characterized by lazy sunny days, beautiful weather, outstanding recreation and culture, luxurious accommodations and so much more. Bonita Bay even offers its own private beach that directly leads to the Gulf. Right outside the community you will find world-class dining, shopping and more. If you are interested in learning more about Bonita Springs and the incredible Bonita Bay lifestyle connect with Dan Humbert and Alberto Quiceno. As top realtors in the area Dan and Alberto can offer you knowledge, experience and a taste of the beautiful lifestyle in Bonita Bay.